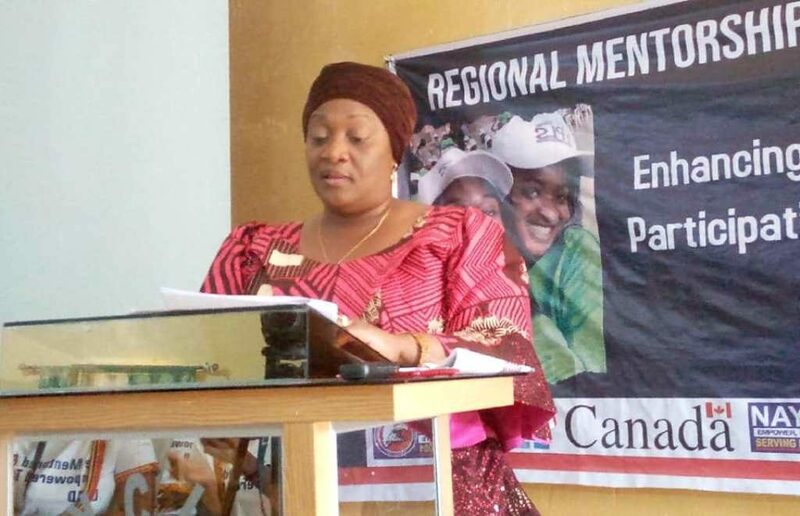 Gbarnga, Bong County – Vice President Jewel Howard-Taylor says she is saddened by the massive decline of the number of female participants at high decision-making positions in the country. “I hope you will change your perspective today, that others control your destiny. In my experience, the external factors make up only 30% of the equation; whilst the internal factor makes up 70%. And with 70% in your favor, you can be anything you want to be. The choice is yours to make,” Vice President Taylor urged the young women. Speaking in Gbarnga, Bong County, recently at the start of a two-day ‘Young Women Empowerment and Mentorship in Leadership,’ a program organized by National Youth Movement for Transparent Elections (NAYMOTE)-Partners for Democratic Development with support from the Canadian Government and the UN-Women, VP Taylor admonished young women in the country to redouble their efforts and build suppleness in their quests for augmented women’s participation in decision-making if they (women) must achieve gender balance in national leadership. “In 2006, when we came in, there were many women in the drivers’ seats, but today that number has dwindled. Look at the Liberian Senate with 30 members, only one woman,” Vice President Taylor told the young women. She commended partners, including UN-Women, NAYMOTE, Canadian Government and others that continued to kindle this fire of female participation, noting, they are trying to ensure that the next generation of female leaders are given the tools they need to fully participate at all levels. Vice President Taylor lauded Liberian women for their resilience and assured them that one day the issue of gender equality in the national space will become a reality. Madam Taylor encouraged the young ladies to develop visions for leadership, do away with their fears, build personal characters, and work harder with commitment, if they are to strike a balance with their male counterparts for leadership. “It is only those nations, which have learnt to harness and automatize the skills and the ability of its entire people that will prosper,” VP Howard Taylor said. Giving the overview of the project, NAYMOTE’s Program Director, Aaron Weahweah, III, said the Young Women Empowerment and Mentorship in Leadership program is aimed at helping to ensure more women’s participation in national leadership in Liberia. 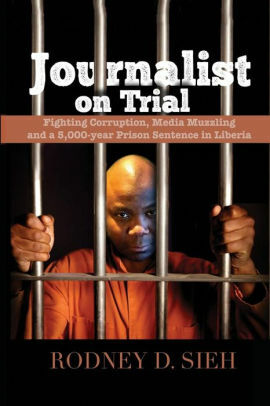 According to Weahweah, his organization seeks to build a cadet of interested, diverse and capable women leaders, who will willingly engage Liberia’s political space by producing reforms as well as contesting and winning political seats to foster pro-poor women policies in the nation’s governance processes. He further said the project will recruit 75 young women and train them in campaign planning, campaign budgeting, campaign team building as well as leadership qualities and skills. Weahweah also indicated that the women will also be trained how to campaign to win votes during elections, adding that the participants will be formed into a national young women council to help champion women’s political participation in Liberia. He said the council will build partnerships with different professional women groups in the country to foster causes of women’s participation in leadership. For her part, the Deputy Country Representative of UN Women, Ms. Sangeeta Thapa, emphasized the need for the full participation of women and men in leadership and decision-making, if the country’s development drive must be completed. “Beginning from 1949 when women in Liberia gained suffrage to 2005 when Liberia democratically elected Africa’s first female President, women have not seized to contribute their fair share to the development of the country, evidenced by the election of the first female Vice President in Liberia but you need to do more, adding, as you can see of the 19 ministries, only two female Ministers-proper,” Madam Thapa stated. She called for a collective effort that will ensure more women’s participations in national leadership and decision-making, terming the low participation of women in government as a “national emergency” that must be treated with urgency. Out of 73 members of the House of Representatives in Liberia, nine are female with just a female in the Senate, following the death of Geraldine-Doe Sheriff. She thanked NAYMOTE for the initiative to help work with young women to change the trend, pledging UN Women’s commitment to ensuring Liberia accomplishes women’s inclusion in national decision-making. Thapa called on the participants to do all in their powers to grab the knowledge and skills being provided at the program as a basis for the political feature. Some relevant topics discussed at the two-day event included, the Concept of Gender, Women in Politics; Claiming the Space, Fighting Exclusion, Civic Engagement, Leadership Styles and Qualities, Mentorship Strategy, among others.